Morgan & Morgan is pursuing lawsuits on behalf of patients who were prescribed the drug Abilify (aripiprazole) and developed compulsive gambling behaviors that lost them $50,000 or more. Abilify, used to treat major depression, bipolar disorder, and schizophrenia, is the top-selling antipsychotic medication in the United States. But due to how the drug affects the brain, patients may develop a problem with impulse control that causes them to gamble uncontrollably. European and Canadian health officials found the association between Abilify and compulsive gambling strong enough to warrant updated product labeling to warn about this risk. Despite this, drug makers Bristol-Myers Squibb and Otsuka Pharmaceuticals originally had chosen not to include a similar warning on Abilify sold in the U.S.
Compulsive gambling can lead to psychological distress, health problems, financial harm, and social consequences. An Abilify compulsive gambling lawsuit could provide compensation for these losses. Did you formerly use Abilify, which give you a gambling problem that caused you to lose more than $50,000? And do you have documentation from gambling facilities or your bank to support your loss claims? Contact us today by filling out our free case evaluation form and learn how we can help. Clinical trials for aripiprazole showed compulsivity as a potential and undesirable effect of the drug. At the time, this finding was quite unremarkable, but in hindsight it fits a pattern of Abilify users developing impulsive behaviors not previously exhibited once they began taking the drug. Post-marketing reports of pathological gambling have been reported among patients prescribed ABILIFY, regardless of whether these patients had a prior history of gambling. Patients with a prior history of pathological gambling may be at increased risk and should be monitored carefully. Following in the footsteps of EMA, Health Canada took a similar measure in 2015. Post-marketing reports of pathological gambling have been reported in patients treated with ABILIFY. In relation to pathological gambling, patients with a prior history of gambling disorder may be at increased risk and should be monitored carefully. Significantly, Health Canada noted in its safety review that in 14 of the 18 gambling cases that it studied, the patients resolved or improved their compulsive behaviors when they stopped taking Abilify or reduced their dosage. But in spite of these revised warnings and the scientific literature supporting them, the labeling for Abilify sold in the U.S. originally made no mention that pathological gambling was reported in Abilify patients. Indeed, the word “gambling” was mentioned nowhere on the labeling for U.S.-sold Abilify. From 2005 to 2013 at least 32 reports of compulsive gambling were reported to FDA. In 2014, 29 Abilify gambling behavior reports were submitted to FDA. In the first half of 2015 alone, 153 such FDA reports were received. Due to severe reporting of adverse events, the actual number of Abilify compulsive/impulsive behavior problems are likely much higher. Bristol Myers Squibb announced $2.3 billion in sales for Abilify in 2013, making it the company’s best selling drug. More recently, BMS announced $417 million in U.S. revenue from Abilify over the course of three months ending June 30, 2014. During that same time worldwide sales of the drug were comparably small at just $555 million. It would seem that the company possibly profited unjustly from a drug which had side effects that weren’t properly advertised. There are numerous reports of compulsive behaviors in Abilify users in medical literature. 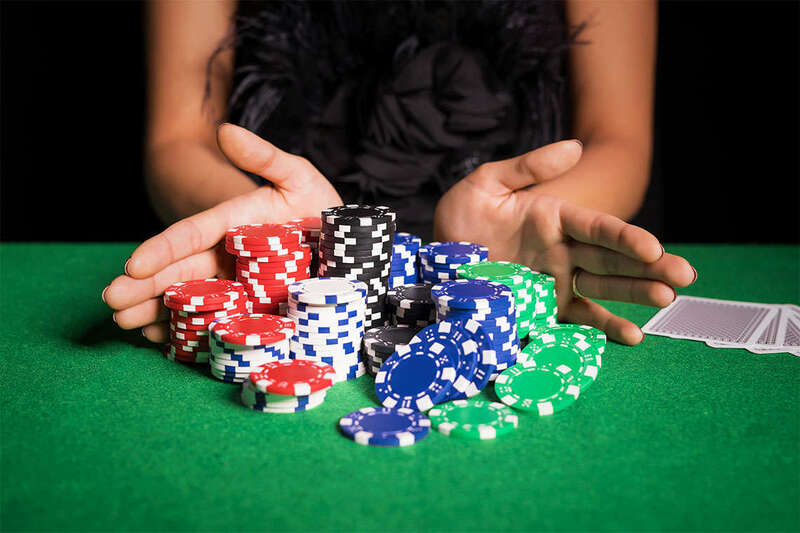 A recent one, “Pathological Gambling Associated With Aripiprazole or Dopamine Replacement Therapy,” looked at 17 cases of gambling disorder possibly related to aripiprazole and found that in 16 of 17 cases, it was possible that the drug caused the gambling. The researchers also found more severe gambling with Abilify than with dopamine replacement therapy (a similar medication). How Can Abilify Cause Compulsive Gambling? It’s not perfectly understood how Abilify might cause compulsive behaviors such as uncontrollable gambling, but the connection between drugs like Abilify and reward seeking such as gambling are well-documented in scientific literature. Abilify is a type of drug known as a “dopamine agonist” that imitates the effects of dopamine in the brain. Dopamine is a chemical that plays a key role in controlling the brain’s award and pleasure centers. It also plays an important role in addiction. Abilify, some researchers believe, affects the brain’s dopamine system in two ways: creating urges towards reward and impairing decision-making. Thus, the drug might both hyper-stimulate the brain’s reward system and reduce cognitive control — in other words, press the accelerator while disarming the brakes. Abilify, some researchers believe, affects the brain’s dopamine system in two ways: creating urges towards reward and impairing decision-making. Abilify maker Bristol-Myers Squibb paid more than $515 million in 2007 to settle accusations that it paid kickbacks to healthcare professionals to promote its drugs, promoted Abilify “off label” for uses not FDA approved, and other illegal practices. Otsuka Pharmaceuticals later paid an additional four million to resolve allegations. According to the U.S. Department of Justice, Bristol-Myers Squibb directed its sales force to promote Abilify for children, adolescents, and elderly patients. The sales force tried to drum up business in nursing homes for patients suffering from dementia-related psychosis even though the FDA mandated that Abilify packaging contain a “black box” warning over its use in the treatment of dementia-related psychosis. Bristol-Myers Squibb and Otsuka Pharmaceuticals knew or should have known about a possible gambling side effect and should have warned patients. Their failure to provide accurate product labeling put thousands of patients unnecessarily at risk of engaging in risky behaviors such as compulsive gambling. Our class action attorneys at Morgan & Morgan have 30 years of experience fighting large pharmaceutical companies and medical device makers that have taken advantage of the public. Let us help you. Contact us today for a free case evaluation.